Available in locations including Paris, Berlin, Beijing and Johannesburg, the service is accessed through the Addison Lee app and via the web and is designed to offer premium service levels through Addison Lee’s affiliate network of 5,000 partners. The international expansion follows the firm’s January 2017 acquisition of US chauffeur business Flyte Tyme and the acquisition of executive car service company Tristar Worldwide in June 2016. In September this year, Addison Lee announced the acquisition of Tandem Technologies, a New York booking platform for the city’s blue-chip corporates. 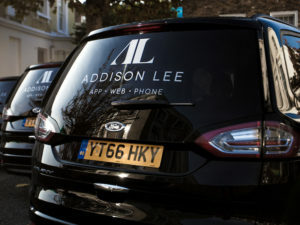 Simultaneously, Addison Lee is investing £65m ($90m) in new vehicles for its London fleet and its recently opened operations in New York City. Latest fleet additions are being acquired via operating lease and cover a range of brands, including Ford, Mercedes and Cadillacs. The line-up features Euro 6-compliant diesels for London with a view to rolling out electric vehicles in the city once a suitable rapid charging network is guaranteed. “Addison Lee’s investment in new vehicles will deliver an improved experience for both drivers and passengers, and demonstrate our clear commitment to be the global premium ground transport brand,” said Andy Boland, Addison Lee’s chief executive.